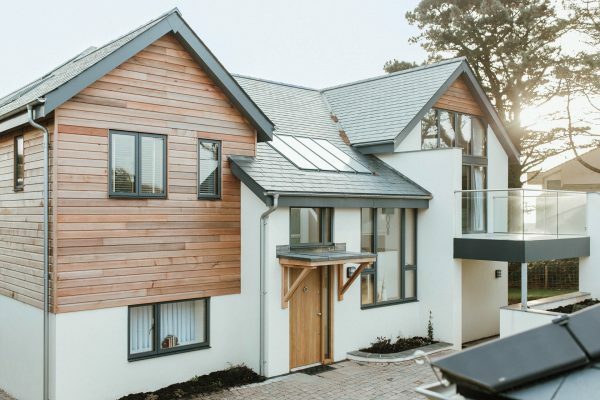 Summer Strand is a bespoke new beach-side family home, set within the seaside village of Thurlestone in South Devon. 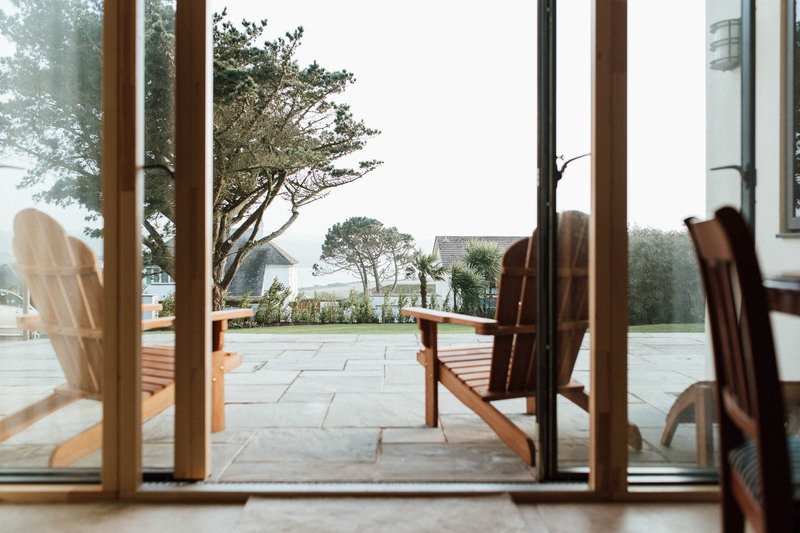 The site enjoys panoramic views over the ocean towards Hope Cove, and catches the sun throughout the day. The house is designed to maximise the views over the sea with a reverse level configuration. 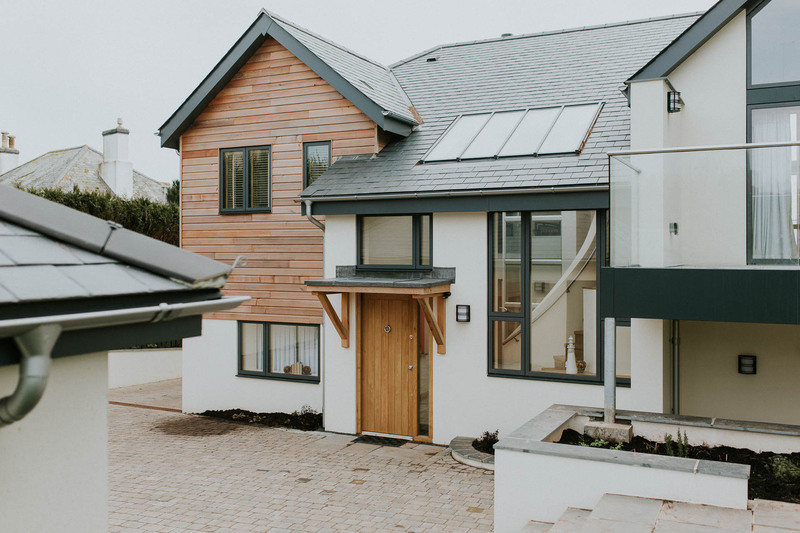 The open plan living, kitchen and dining spaces are situated on the first floor, and open out onto a large balcony terrace overlooking the ocean, which is shared with the master bedroom suite. 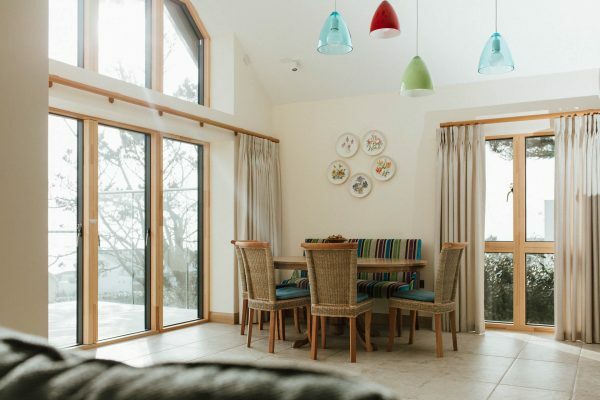 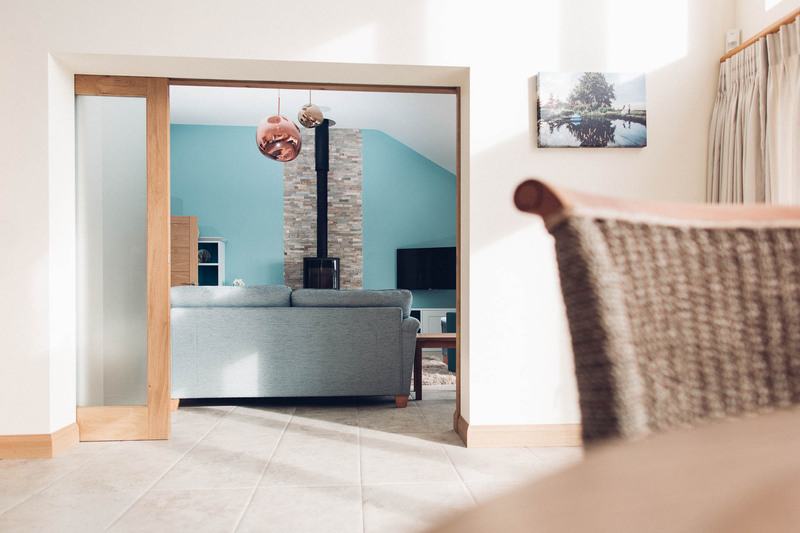 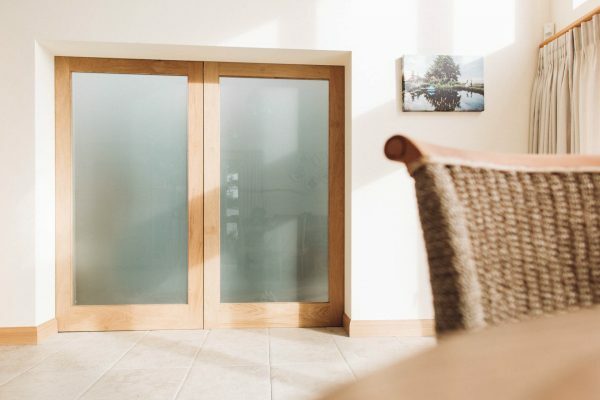 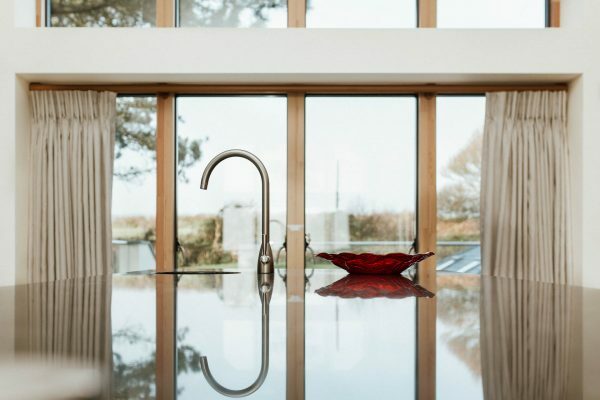 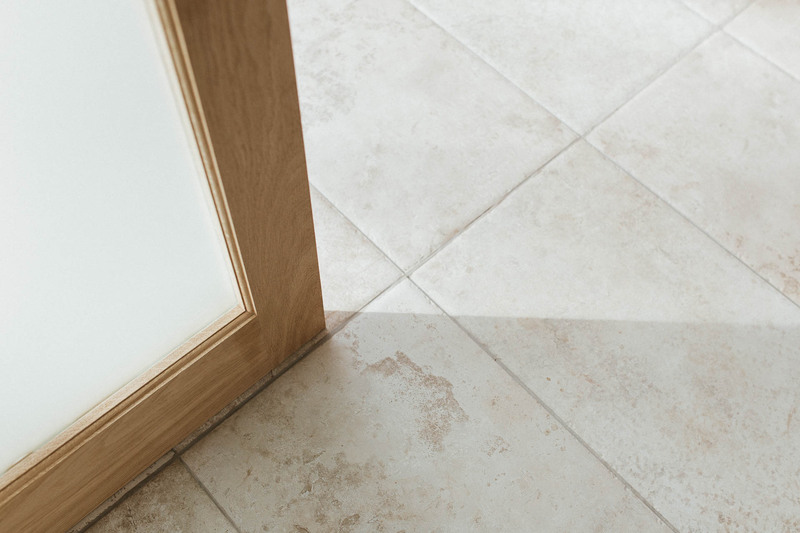 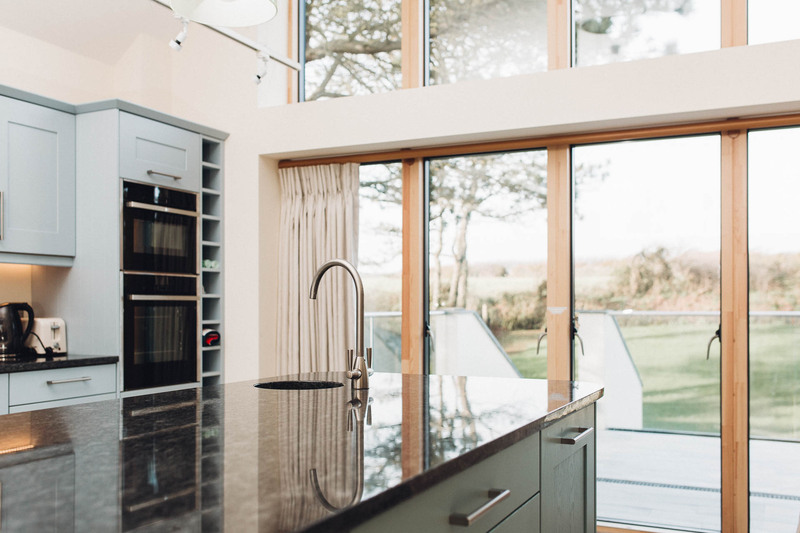 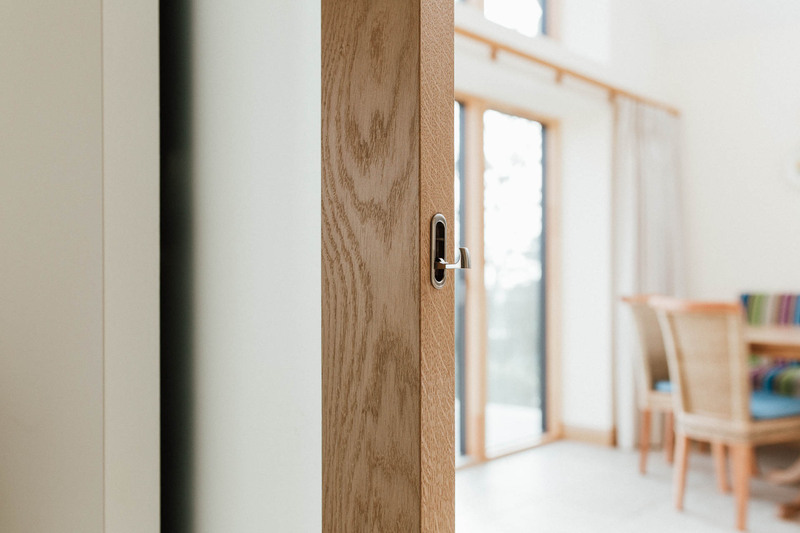 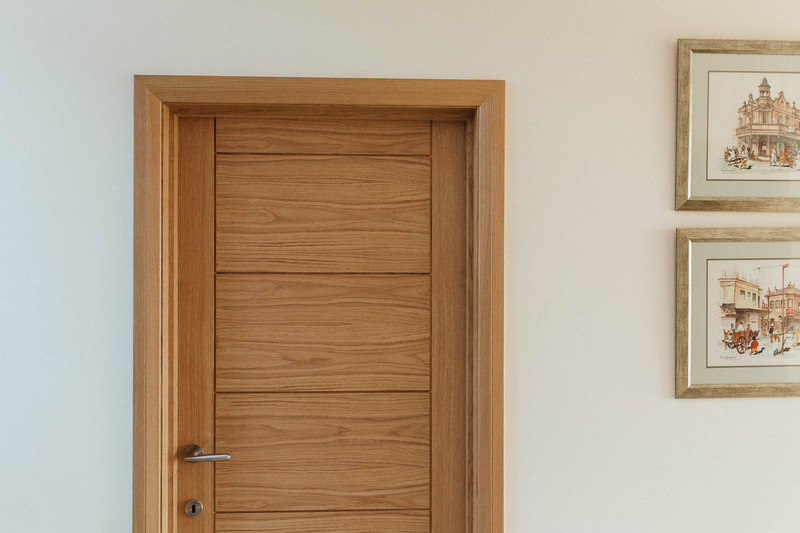 The first floor living space can be separated from the kitchen dining area with an oak framed, obscure glazed sliding pocket door concealed within the walls. 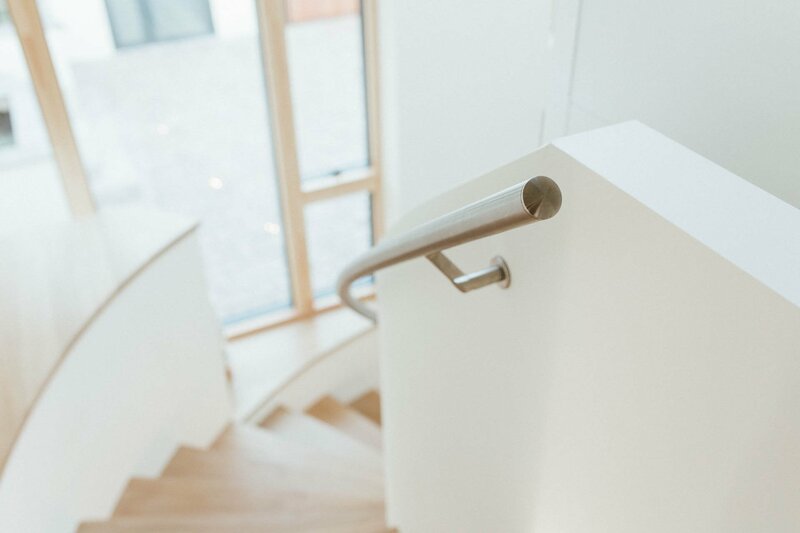 An internal window at the top the curved stairs affords a glimpse view through the living space to the sea beyond. A glazed lift shaft provides access to the first floor living accomodation, rising up through a double height, vaulted entrance hall. A second living space and a further three generous bedrooms enjoy access to the sunny front garden at ground floor level. 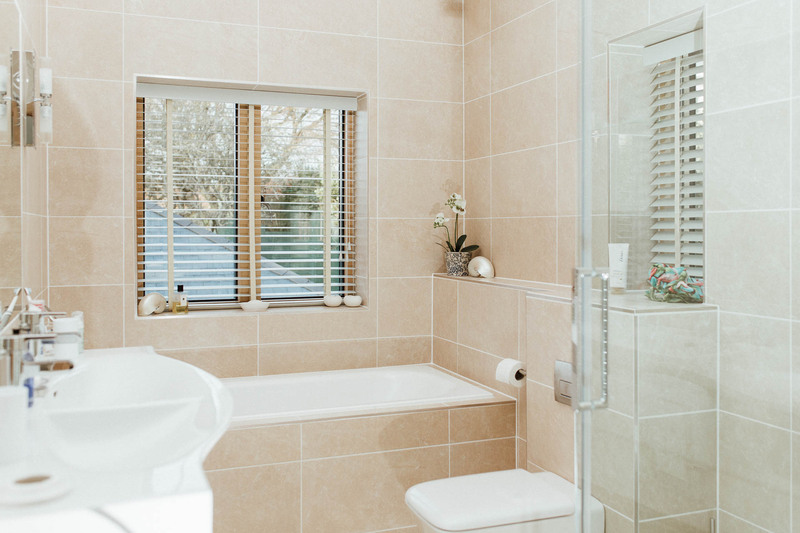 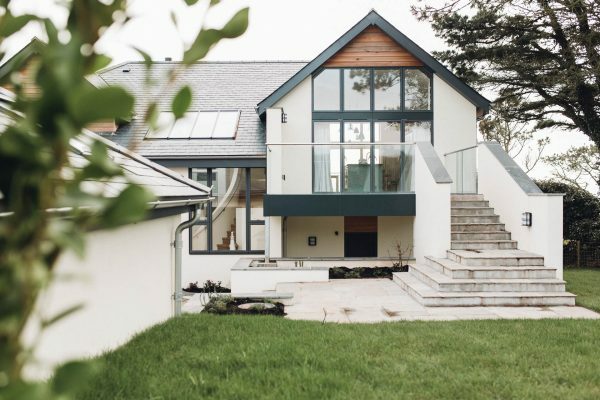 With the reverse level accommodation it was important to the client that the garden could be accessed without having to go through another room. As a result, the Entrance Hall at the rear of the house leads directly to a set of glazed doors at the end of a generous hallway, presenting views to the garden at the front of the house. 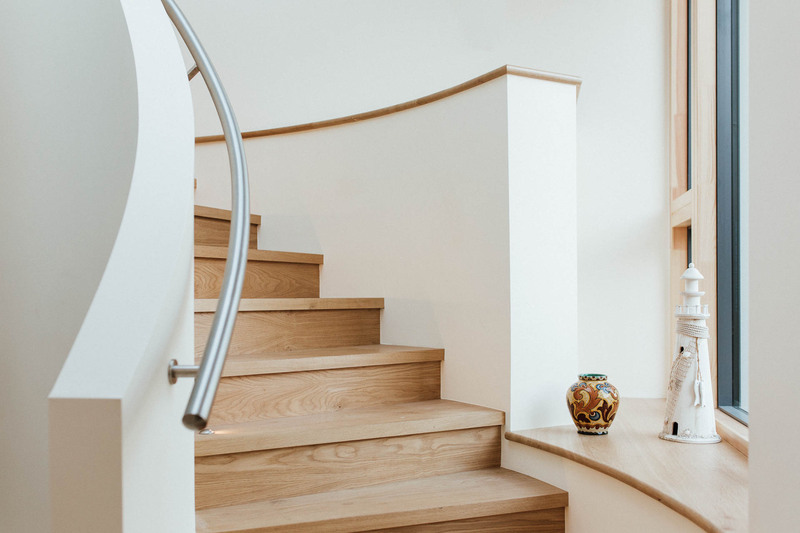 A beautiful bespoke curved staircase was fabricated and installed by the Main Contractor WM Construction, finished in oak with stainless steel nosing details. 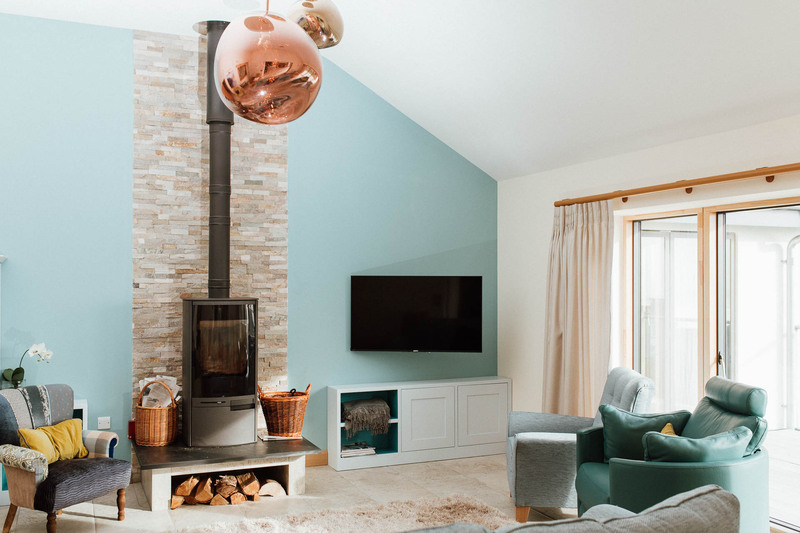 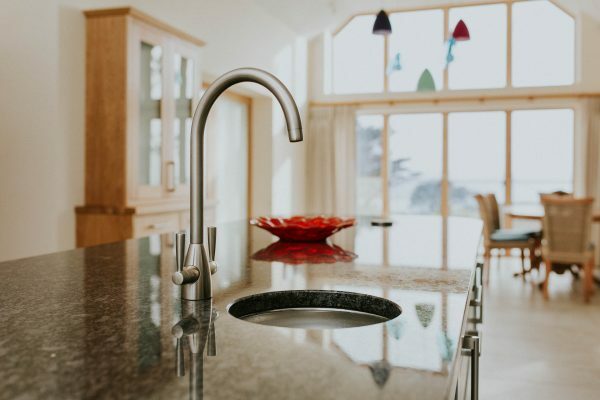 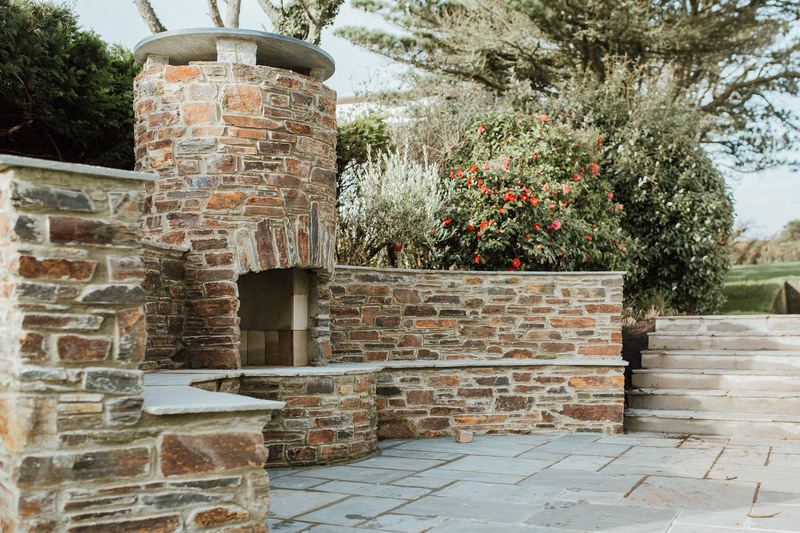 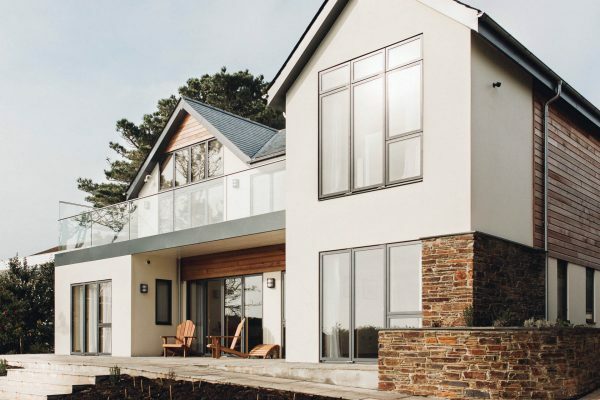 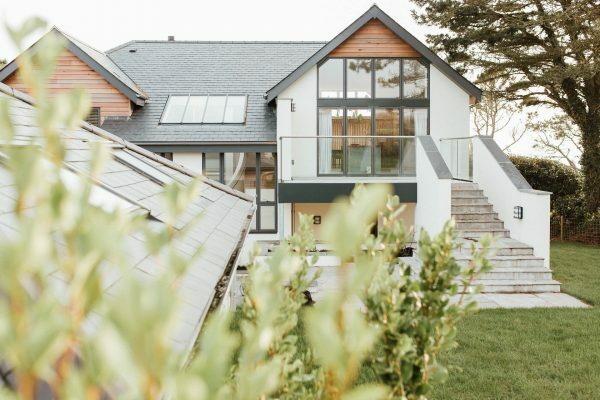 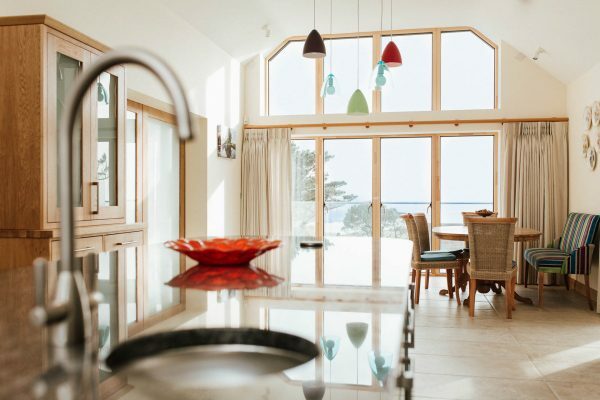 This contemporary Thurlestone beach house is finished with a selection of natural materials with cedar and stone clad walls sat under a pitched slate roof. 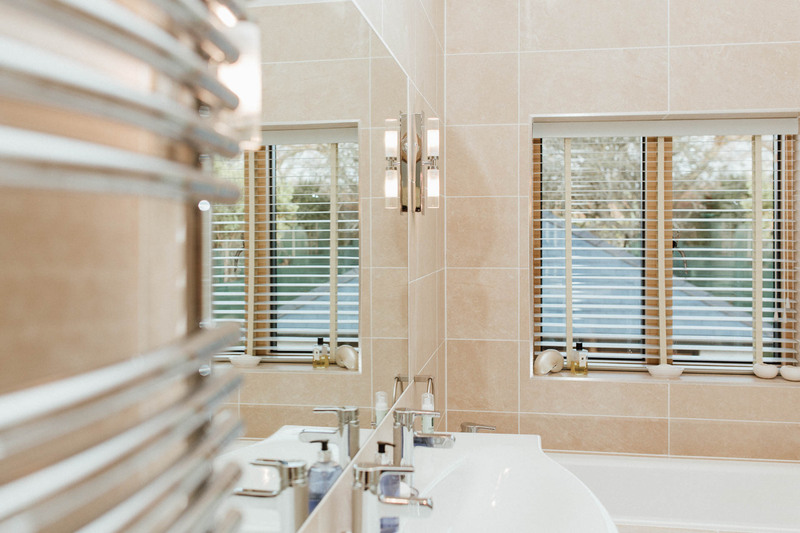 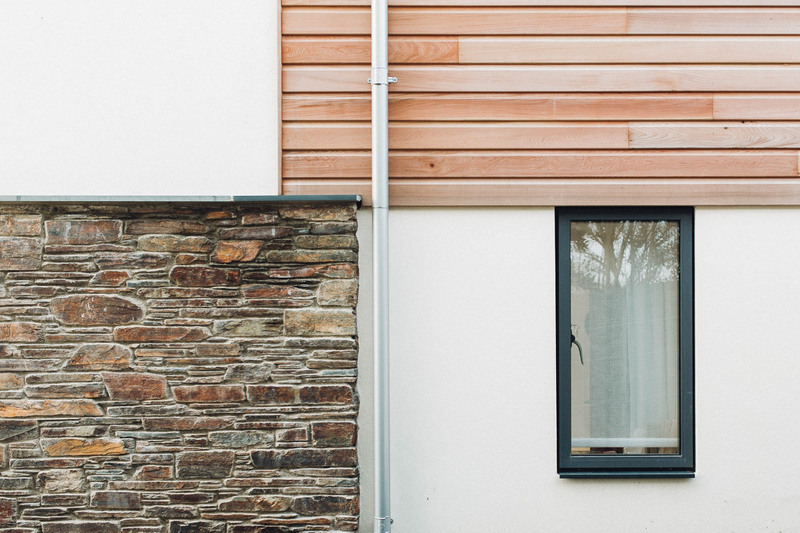 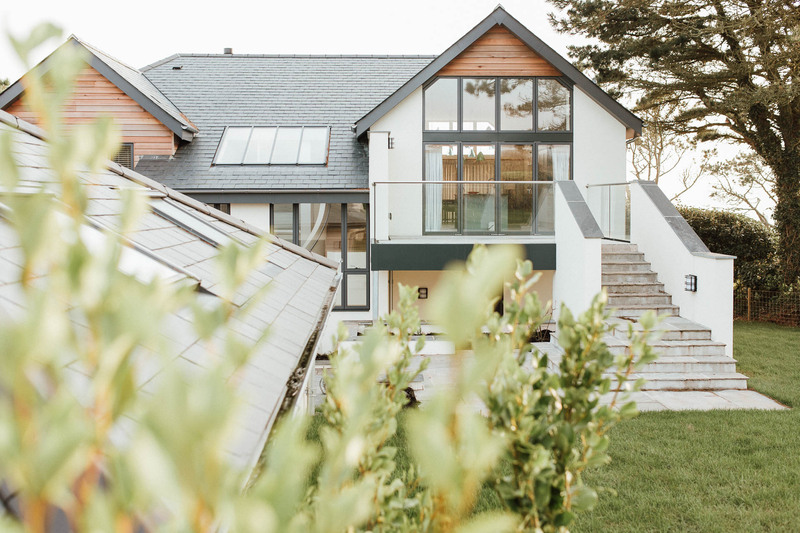 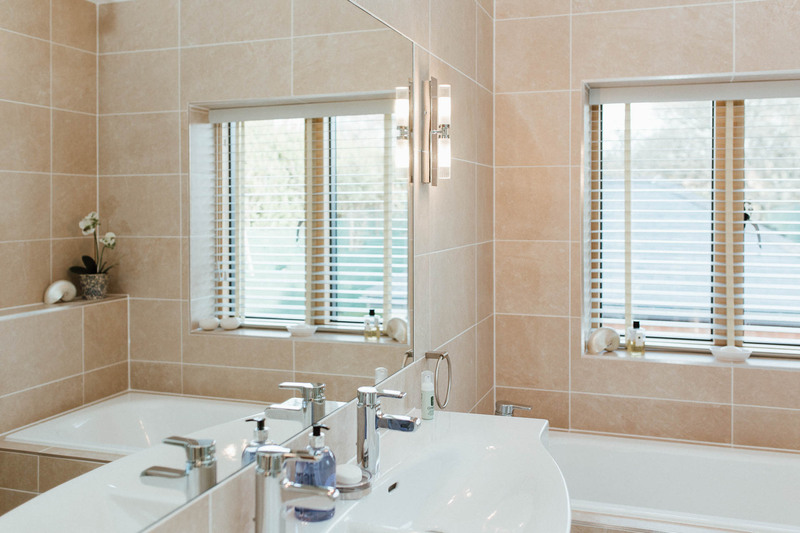 The use of natural and textured materials compliment and soften the contemporary aluminium windows, metal rainwater goods and roof fascias and the frameless glass balustrade on the balconies. 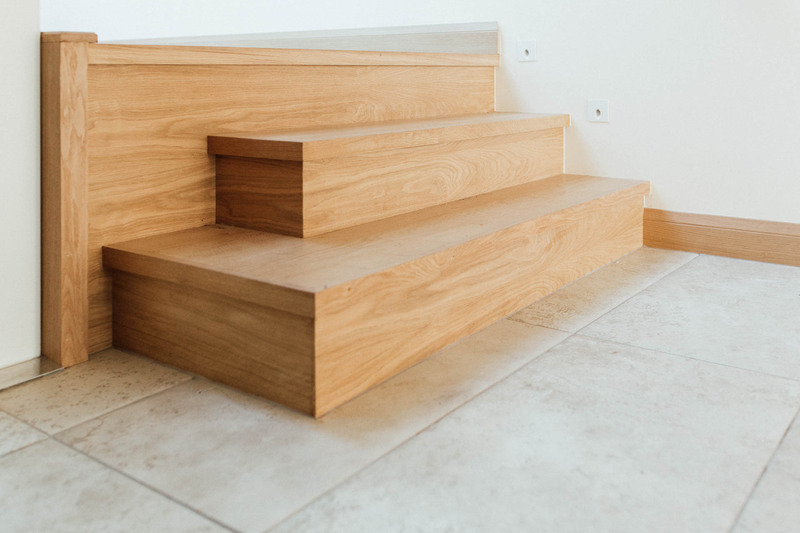 The use of natural materials is continued inside, with oak doors and stairs. 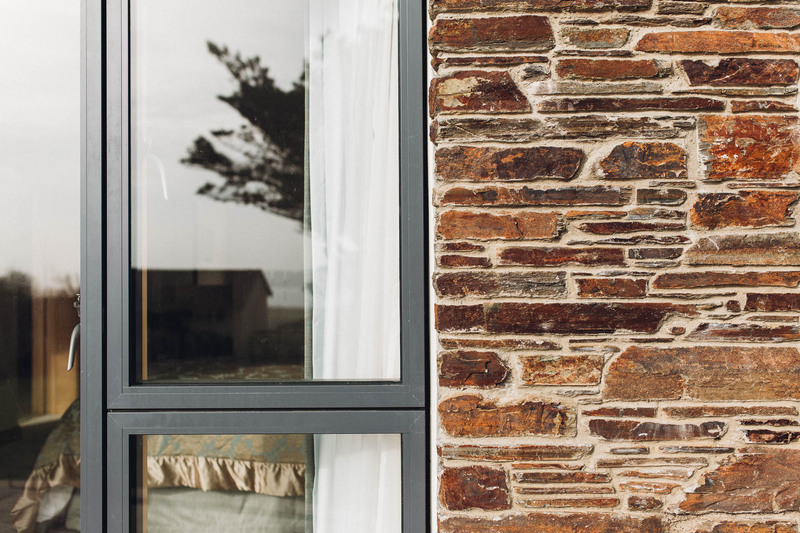 Summerstrand was selected as a Regional Finalist in the 2017 LABC Building Excellence Awards.